Episode 16 – Mistletoe, Meeples, and Madness! On this episode of the board games and beer podcast: Vel and Morgan dive into our happenings of the past several weeks and give some gift idea games along with stocking stuffers! We dive into the calendar and see what may be happening in the board gaming world including plenty of con talk! We look at what is in the pipeline, what is ongoing, ending, and what to spend our money on! We look at the beer of the episode – it might just rumble loudly, stomp around, and look for a meal as I continue to throw Vel under the boulder mobile in our beer game! We go back into the vault in a time machine to hunt terrible lizards! 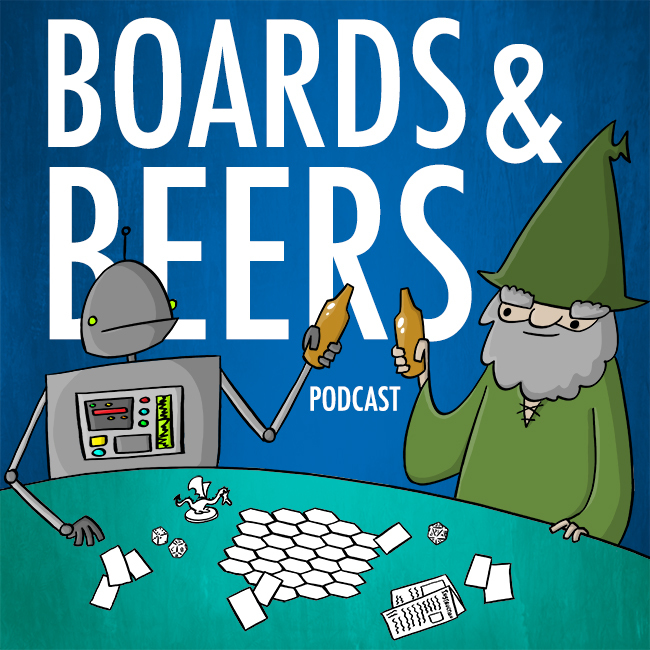 That and much more on this episode of the board games and beer podcast! We have a contest running so be sure to check out the web page for details! Episode 16 – Show Notes! Back In The Vault: Tyrannosaurus Wrecks! The challenge is on! Morgan has challenged the listeners to tell us how many games she has influenced Vel to buy on Kickstarter. This will include our upcoming episode 16! Responses will be taken @BGBPodcast_game.